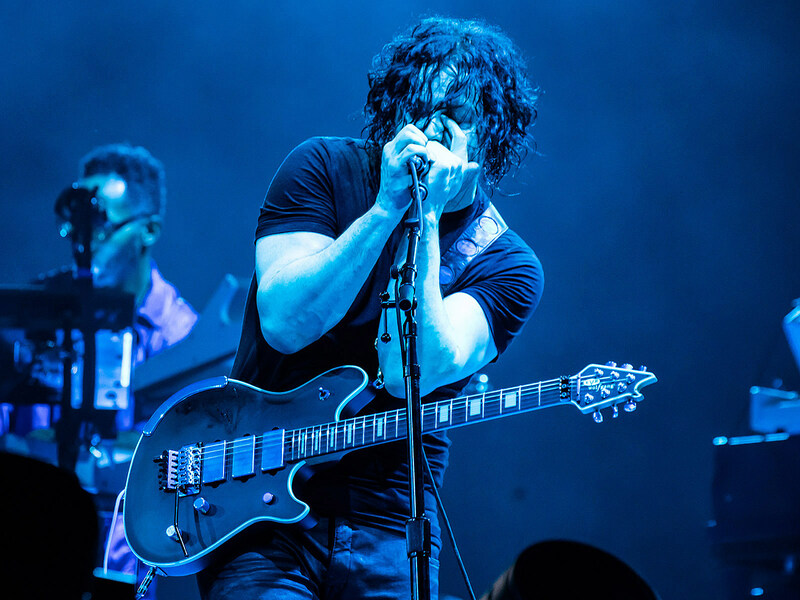 Jack White’s live shows have been pretty awesome lately, and he just added a few more dates to his extensive tour. The newly-added shows are in Shreveport, Tulsa, Lubbock, and El Paso. All dates and tickets here. R&B crooner Miguel will be in Brooklyn for Afropunk in August, and he plays a few other festivals like Made In America, Hopscotch, and Life Is Beautiful. Today, he announced a tour with a bunch of headlining shows around those festivals too. All dates here. Hannibal Buress, who you may have recently seen in new comedy Tag alongside Jon Hamm and Jeremy Renner, will be on a standup tour this fall, hitting Midwest, Southwest and West Dates before his appearance at the Adult Swim Festival in Los Angeles. Head to Hannibal’s website for all dates and tickets. Hip hop label 88rising (home to Rich Brian, Higher Brothers, and more) are putting out a crew album, throwing their own fest in LA, and now also throwing a tour with most of their roster including Rich Brian, Higher Brothers, Keith Ape, Joji, Kohh, Niki, August 08, Don Krez and more in select cities. All dates (including NYC’s Pier 17 on 10/3) and more info here. Elvis Costello has a TBA new album coming later this year, and he just announced a fall tour supporting it. The Gaslight Anthem frontman Brian Fallon and The Hold Steady frontman Craig Finn are going on a solo tour together this year. Mitski is “doing a little local run of shows” before her new album drops on August 17. Those shows are in the Northeast and with Sidney Gish. Her proper tour will hit NYC for two shows at Brooklyn Steel in late fall. All dates/tickets are here. Foxing just announced their highly anticipated third album, released the excellent first single, and announced a tour. Lauryn Hill revealed the openers for her upcoming The Miseducation of Lauryn Hill 20th anniversary tour: Nas, M.I.A., A$AP Rocky, De La Soul, Big Boi, SZA, Santigold, Shabazz Palaces, Talib Kweli, Dave Chappelle, Busta Rhymes, and more. Ahead of their appearance at the Music Tastes Good Festival in Long Beach, CA, post-punk/synthpop greats New Order will be playing a few North American shows. Melodic punks Worriers were added to some dates of Jeff Rosenstock’s tour with AJJ singer Sean Bonnette (including Asbury Park on 7/24), and they also added their own hometown show happening at Brooklyn’s Baby’s All Right on 7/31. All dates and tickets here. Elusive Swedish art pop artist iamamiwhoami (aka Jonna Lee) started putting out music as ionnalee last year, and though she doesn’t play shows too often, she’s playing select US shows this August (seemingly under both monikers). She plays Chicago, LA, and NYC, and she says it’s her debut LA show. More info and tickets here. NJ riff rock vets Monster Magnet announced a fall tour supporting this year’s Mindfucker. Arcade Fire continue to expand their tour and just added more California shows: LA with The Zombies and Berkeley with Grizzly Bear. Jim James‘ new album, Uniform Distortion, is out June 29 via ATO and he’s just announced a “unique, career-spanning solo acoustic concert tour” which will happen in November with Alynda Segarra from Hurray for the Riff Raff joining him on all dates. Foster the People are opening Paramore’s tour as we speak (along with Soccer Mommy on leg one and Jay Som on leg two), and just in case you’d like to see them somewhere WAY smaller than the venues they’re playing on this tour, you might wanna know they’re doing a series of free-with-RSVP intimate shows in select cities. For Brooklyn, they’ll be at Elsewhere’s 200-capacity room Zone One the same night they play the 19,000-capacity Barclays Center with Paramore. That show has local support from The Brittanys and Nervous Dater. All dates here.